How to Get a Cash Loan And How to Make the Most of it When You Get it! The fact is that people do need cash loans and they need them quite frequently. Why should this be? Well we live in a world where salaries are being pegged back but the cost of living, although not thankfully at record breaking high inflationary terms as in the past, still pushes up. After all when things are tight even a tiny inflationary increase can hurt. Then there are the life changing events that hit you out of the blue, that you could not have predicted – an employer contracts his business out of the country, illness strikes a family member – there are many such examples. Sometimes you need a small amount just to tide you over a temporary difficulty, sometimes a larger sum for a bigger objective. The question is – who and where do you turn to? Let’s look at a few possibilities. This is of course awkward and embarrassing. 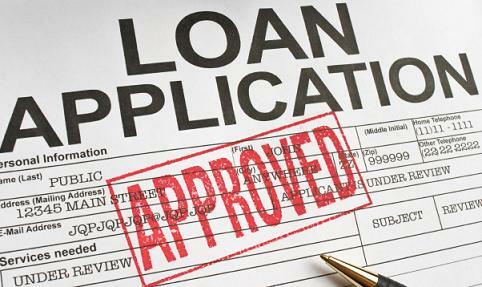 However if you have a family member, perhaps an uncle or grandfather who was planning to leave you something anyway or was intending to invest and you can offer him a similar rate of interest and be prepared to have a proper loan agreement with agreed payment dates, then it could be possible. If this isn’t a possibility you are going to face higher interest rates and more restrictive conditions. The really important thing is not to continue the loan any longer than you have to – if you can pay it back within one month that is great. Now of course you could go to your friendly neighborhood bank and ask them for one of their cash loans. But the facts of life are that banks have increasingly less time for small private customers and indeed for small businesses and especially if you have a poor credit record you are more than likely to encounter a juvenile bank employee who will tap for ages into his (or her) computer and then inform you that it’s no go. If you want to know the easy way to obtain cash loans, you should find out more about car title loans which tick all the boxes for easily obtainable cash loans. These cash loans are financed by the unused-up value in a privately owned car and thus anyone who owns a car which isn’t old enough to be in the history books and has the documentation to prove it is well in line to receive one of these cash loans. The choice of loan is very wide indeed; starting at $2600 and going right up to $20,000. You can get a fairly good idea of the amount you will receive for your car by trying out the app on this website which is linked to Kelley’s Blue Book, the authority on second hand car values. Once your loan has been pre-approved, nearly all of our customers receive their cash within one hour of making application. Every student depends online law essay writing service at any point of their academic life. Some of them are depends due to lack of creativity skill and some of them are depends due to lack of time.